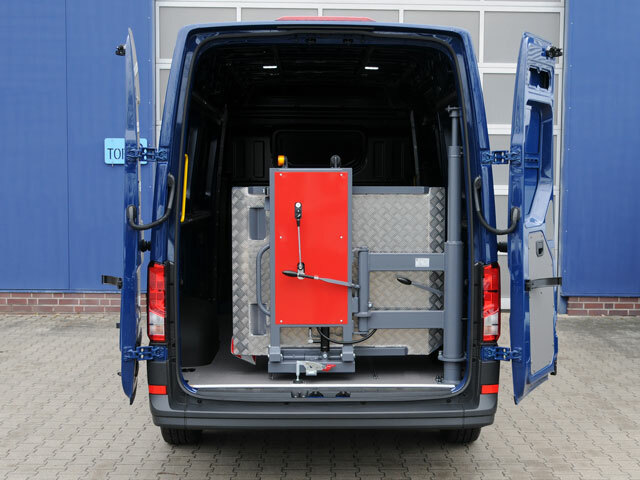 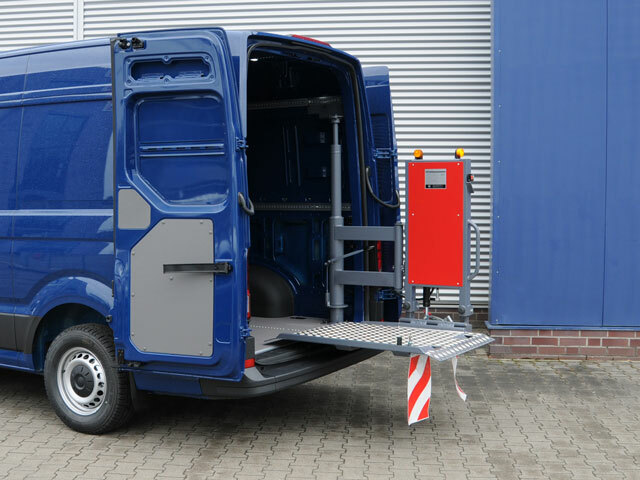 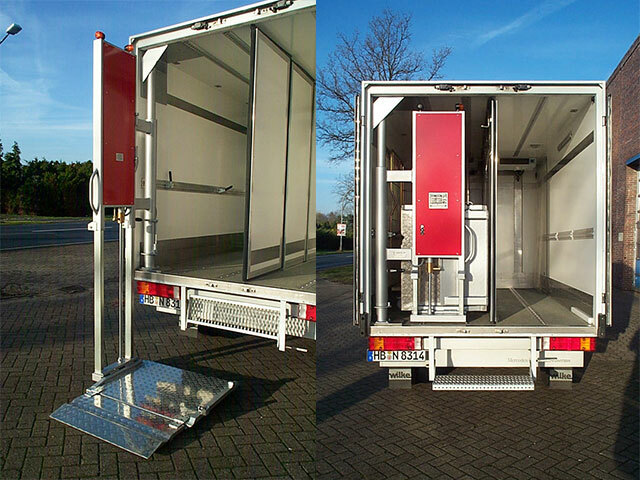 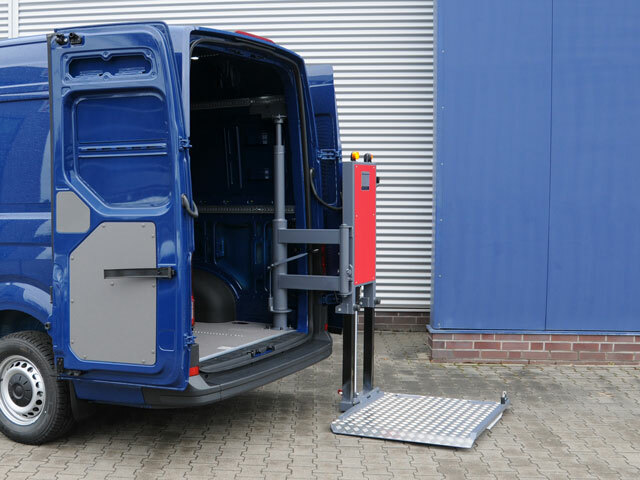 The cargo swivel lift is ideal for transporting goods in vans. 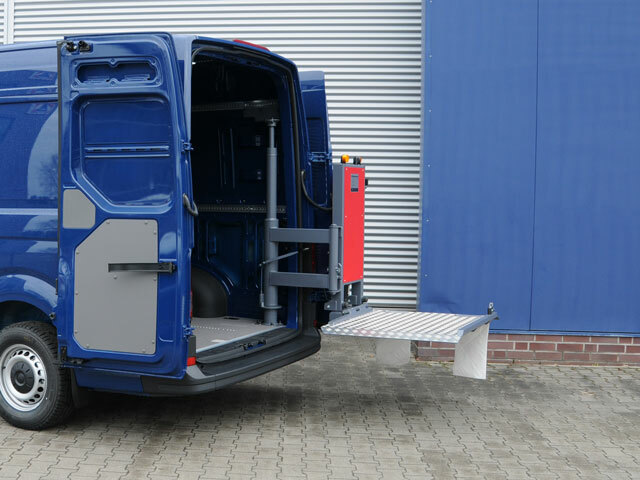 The lift platform is folded down by hand and, depending on the version, the lift can be swivelled through 2 x 90° or 3 x 90°. 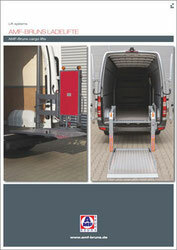 AMF-Bruns loading lifts have a capacity of up to 500 kg.